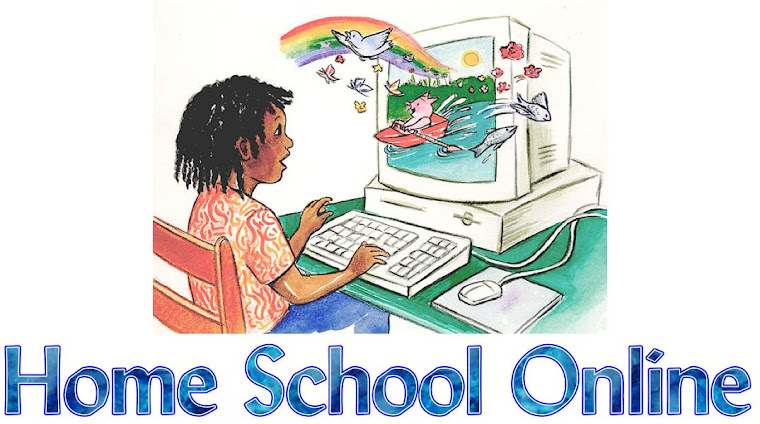 Home School Online: Catching Up A Child Who Is "Behind" Academically! When we found Time4Learning back in “2007” I had no idea how it was going to change our life. I truly thought it was going to be more of enhancement then the actual foundation. Boy was I wrong! It is absolutely the very foundation of which we build our entire homeschool program around! I still remember sitting and watching my oldest work on his Time4Learning math that first day. After years of struggling with this elusive subject, (due to his learning difference) we had resigned ourselves to the fact that this was going to simply be his life long challenge. Our family used a tutor the year before without much success. He actually made less progress with his tutor than when I had simply homeschooled him with a typical textbook the year before. Over the years we have spent hundreds of dollars on the latest greatest programs on the market and though a couple worked better than others, NOTHING worked like Time4Learning. On that first day there was something different. I saw him relaxing and just doing what came next. I saw the strong graphics pulling his mind in like nothing else ever had. As the days turned into weeks I saw his confidence begin to grow for the first time ever. He began to master concepts so that he could build on them, and then the day came for our year end testing. I was excited and hopeful, but at the same time I kept my expectation in check. Please Lord, let him at least do one full grade level! One and half hours after he walked into the testing room he walked out with the biggest smile I had ever seen. Our tester, whom we had used for years had that same dumb smile on her face. She quickly commented that she needed to write up his results but wanted me to tell her about this new “Time4Learning” program. It turned out that all of my sons ended up making more gains in math than EVER before in all the years we’d homeschooled, however my oldest was the show stealer that day as he went up over “TWO” full grade levels! If you have a child who is behind and desperate to catch up I can think of no better way than Time4Learning. Your child will gain confidence as they simply login and do their work each day. The simplicity is in the presentation. Time4Learning teaches, (tells) shows, (models) and presents problems so that a child feel confident in the material before they are tested. The strong graphics make a picture in the brain that imprints and stays in place so that new information can be mastered. Whether you want to use Time4Learning as your complete foundation or part of an eclectic homeschool plan, it's the perfect choice when helping a child gain confidence in a weak academic area. Why don’t you try a free demo or tell a friend! It will change your life. If you are a current Time4Learning user will you share your success story? Just comment below.